CPU 24/7 is a leading provider of computer-aided engineering as a service (CAEaaS) solutions. We are located in Potsdam, Germany, where we develop and operate unique on-demand services for high-performance computing (HPC). Our services are based on the latest globally accepted industry standards for hardware, software, and applications. *To run COMSOL Multiphysics® on CPU 24/7’s simulation platforms, you must own a Floating Network License (FNL). To run COMSOL Server® on CPU 24/7’s simulation platforms, you must own a COMSOL Server License (CSL). Compute Canada provides advanced research computing services as well as infrastructure to Canadian researchers across all academic disciplines and industries. More than 200 experts at partner universities and research institutions throughout the country support and operate the national platform. Compute Canada proudly represents Canadian excellence in advanced research computing. Note: To run COMSOL Multiphysics® on Compute Canada’s simulation platforms, you must own a Floating Network License (FNL). To run COMSOL Server™ on Compute Canada’s simulation platforms, you must own a COMSOL Server License (CSL). First founded in 2002, Gompute is a leading simulation and HPC solution provider. Their main office is in Gothenburg, Sweden, with local offices in Durham, USA; Lugo, Spain; and Stuttgart, Germany. Gompute’s team includes CAE experts, engineers, and computer scientists who provide customers around the world with the latest HPC technology. Gompute's partnership with COMSOL allows license holders* to collaborate with Gompute to find the optimal hardware configuration for the parallel processing and cluster modeling of COMSOL Multiphysics models and apps. *To run COMSOL Multiphysics® on Gompute’s simulation platforms, you must own a Floating Network License (FNL). To run COMSOL Server™ on Gompute’s simulation platforms, you must own a COMSOL Server License (CSL). Microway utilizes the latest high-performance technologies to generate technical solutions tailored to your specific needs. Since our founding in 1982, we have gained expertise in optimization and system integration for Linux®- and Windows®-based scientific and engineering applications. Using this knowledge, our team delivers systems that are thoroughly tested and ready-to-run for your simulation projects that use the COMSOL Multiphysics® software. We offer multiple products, including quiet WhisperStation™ workstations, powerful compute servers, and customized high-performance computing (HPC) clusters. Nimbix HPC cloud provides a seamless solution for customers to scale compute capacity elastically to achieve faster results with their COMSOL workflows. *To run COMSOL Multiphysics® on Nimbix’s simulation platforms, you must own a Floating Network License (FNL). To run COMSOL Server® on Nimbix’s simulation platforms, you must own a COMSOL Server License (CSL). Nor-Tech manufactures computer systems, workstations, servers and high performance clusters which it offers to a large variety of customers in the United States and internationally. Nor-Tech is an authorized and certified system integrator for leading technology brands like: Intel®, SuperMicro® computing solutions, Dell™ computers, and HP® computers. *To run COMSOL Multiphysics® on Nor-Tech’s simulation platforms, you must own a Floating Network License (FNL). To run COMSOL Server® on Nor-Tech’s simulation platforms, you must own a COMSOL Server License (CSL). Penguin Computing provides a high-performance computing (HPC) cloud platform, Penguin Computing® On-Demand™ (POD™), which combines the convenience of the cloud with the power of HPC bare-metal processing and InfiniBand-connected nodes. This enables the delivery of a superior high-performance experience in a variety of architectures. A 3D remote visualization workstation is available for postprocessing, accelerating your time to results by eliminating long download times. When you combine this with our free, highly-acclaimed technical support; clear, concise billing; and no data transfer charges, it’s a win-win situation! Receive 1000 free POD™ hours when you register for an account. To run COMSOL Multiphysics® on Penguin Computing’s simulation platforms, you must own a Floating Network License (FNL). To run COMSOL Server™ on Penguin Computing’s simulation platforms, you must own a COMSOL Server License (CSL). Penguin Computing, Penguin Computing On-Demand, and POD are registered trademarks or trademarks of Penguin Computing, Inc.
Rescale’s simulation platforms are the leading global solutions for the secure deployment of simulation software and high performance computing (HPC) hardware in the enterprise. Rescale partners with industry-leading software vendors to provide instant access to a variety of simulation packages while simultaneously offering customizable HPC hardware. Headquartered in San Francisco, CA, Rescale’s customers include global Fortune 500 companies in the aerospace, automotive, life science, and energy sectors. For more information on Rescale products and services, visit www.rescale.com. To run your COMSOL simulations faster with on-demand customizable HPC resources, simply go to www.rescale.com/signup/vip. Create a Rescale account and receive $50 Rescale computing credit. *To run COMSOL Multiphysics® on Rescale's simulation platforms, you must own a Floating Network License (FNL). To run COMSOL Server™ on Rescale's simulation platforms, you must own a COMSOL Server License (CSL). TotalCAE provides high-performance computing (HPC) private and public cloud solutions for engineers, including the HPC Appliance for the COMSOL Multiphysics® software. With the TotalCAE solution, you can easily speed up your COMSOL Multiphysics® simulations in just a few clicks by uploading your model to the TotalCAE Web Portal. The entire appliance is located securely in your datacenter and is managed around the clock by TotalCAE IT professionals, keeping engineers working productively. To quickly respond to unexpected simulation needs, TotalCAE Public Cloud computing access is also available, enabling pay-as-you-go unlimited computing power on demand. *To run COMSOL Multiphysics® on TotalCAE’s simulation platforms, you must own a Floating Network License (FNL). To run COMSOL Server® on TotalCAE’s simulation platforms, you must own a COMSOL Server License (CSL). AMD (NYSE: AMD) is an innovator of workstation graphics technology for professional design pipelines. AMD FirePro™ professional graphics cards maximize productivity through exclusive features such as AMD Eyefinity multi-display and Geometry Boost technologies. AMD Catalyst™ Pro driver software helps ensure reliability through rigorous testing and certification, and is tuned to deliver maximum performance when used with COMSOL Multiphysics. For a list of supported cards, see our system requirements page here. Lenovo is a leading provider of innovative commercial, consumer, and enterprise technology. The success of our Fortune 500 company comes from helping our customers achieve improved business productivity and enhanced personal lives. Our optimized System x servers, including NeXtScale, deliver the best performance possible for computationally demanding workloads such as those performed by COMSOL Multiphysics® software. To complement our server portfolio, we also offer solutions for VDI, remote visualization, networking, and storage for improved workflows. By providing customized end-to-end solutions for our customers, we reduce the time-to-solution, while eliminating challenges relating to procurement, deployment, and management. The Lenovo™ ThinkStation® and ThinkPad® mobile workstations are designed for customers who need high-performance rendering and workstation computational power. Autodesk, Inc., is a world leader in 2D and 3D design, engineering and entertainment software for the manufacturing, building and construction, and media and entertainment markets. 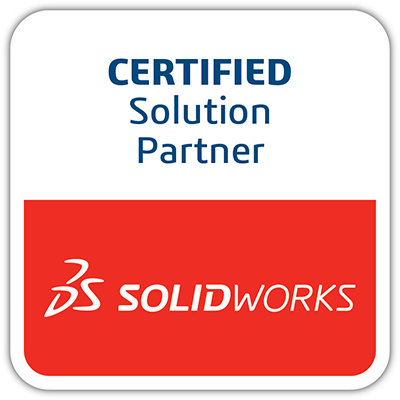 Dassault Systèmes SolidWorks Corp., a Dassault Systèmes S.A. subsidiary, is a world leader in 3D solutions that help millions of engineers and designers succeed through innovation. Our products deliver an intuitive experience in product design, simulation, publishing, data management, and environmental impact assessment. For the latest news, information, or an online demonstration, visit our Web site (www.solidworks.com) or call 1-800-693-9000 (outside of North America, call +1-978-371-5000). The MathWorks is the leading developer and supplier of software for technical computing and Model-Based Design. Over 1,000,000 engineers and scientists in more than 100 countries, on all seven continents, use MATLAB® and Simulink®. These products have become fundamental tools for work at the world's most innovative technology companies, government research labs, financial institutions, and at more than 3,500 universities. PTC provides discrete manufacturers with software and services to meet the globalization, time-to-market and operational efficiency objectives of product development. Using the company's CAD, and content and process management solutions, organizations in the Industrial, High Tech, Aerospace and Defense, Automotive, Consumer and Medical industries are able to support key business objectives and create innovative products that meet both customer needs and comply with industry regulations. PTC's solutions are specifically designed and tested together to give companies the capabilities necessary to optimize their product development processes. Siemens PLM Software provides software developers its world-class, market leading portfolio of PLM Components to be integrated quickly into modeling, simulation and manufacturing applications across a wide range of industries. COMSOL licenses Parasolid®, the industry standard in global product design, and D-Cubed™ 2D DCM, the industry standard geometric constraint solver for parametric sketching. Siemens PLM Software, world leader in product lifecycle management (PLM) software, aids companies in creating better products by offering lifecycle process optimization, from the planning and development stages to manufacturing and support. The most complete 2D/3D hybrid CAD system, Solid Edge®, is a fundamental part of the Velocity Series™ portfolio. Solid Edge utilizes synchronous technology for accelerated design, quicker change, and enhanced imported reuse. The increasing complexity of product design is relieved with Solid Edge's exceptional drafting, transparent data management, and part and assembly modeling. MatWeb's searchable database includes comprehensive technical information for thermoplastic and thermoset polymers, metals, ceramics, and other engineering materials. MatWeb users have found the materials property data they need easily and quickly through a range of powerful yet simple search and compare tools. MatWeb's partnerships with leading software companies allow our users to download tech data in a variety of formats. SmartUQ’s software delivers cutting-edge engineering analytics as well as uncertainty quantification solutions for simulations, testing, and complex systems. By using advanced probabilistic and statistics methods, SmartUQ greatly accelerates analysis cycles by minimizing design iterations, enhances design robustness, and improves insight by quantifying uncertainties. The software includes an innovative suite for analytics and uncertainty quantification, such as unique and modern design of experiments, emulation, statistical calibration, sensitivity analysis, design space exploration, uncertainty propagation, optimization, and inverse analysis.